We have been building powerful partnerships for children for more than 75 years, and are now. • Responsible for timely implementation of their portion of a total project budget of circa. • Work with the ERM to oversee the management of the grant, including timely implementation of planned activities and the appropriate expenditure of funds. • Work with the finance and administration / logistics / security teams to ensure that project activities and reports are implemented in a timely manner and in accordance with the project logical framework and Plan International and Donors procedures. • Prepare weekly and monthly narrative reports in time and without delay. • Prepare regular reports on budgets and expenditures together with finances, keeping track of spending and to propose corrective measures if necessary. • Oversee the database and ensure it is updated regularly and appropriately. • Enlist the support of the government, NGOs, and community stakeholders. • Provide trainings to Plan and partners’ staff, incentive workers and volunteers and main stakeholders. 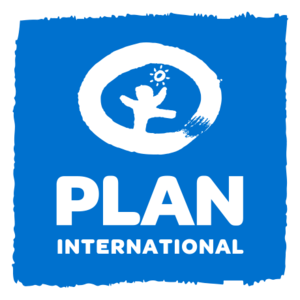 • Ensure that the Plan International child protection policy is respected by project staff and by the incentive workers. • Assist the MEAL officer and manager to develop a monitoring and evaluation plan in line with the Donor reporting requirements. • Assist the MEAL officer and manager to facilitate internal and external evaluations of the project, the use of these opportunities and to encourage the realization of documents, challenges and learning opportunities. • Ensure compliance with the Donor and Plan International rules and regulations in all areas including financial management, record keeping, procurement, etc. • Ensure that receipts and supporting documents are provided to the Finance department in Kibondo, in accordance with the Donor and Plan International requirements. • Be a positive role model and demonstrate conflict-solving behaviors. • Skills in communicating with multicultural populations. • Knowledge of child development and family interactions. • Strong facilitation and training skills to supervise the work of the staff involved in this programming. The post holder will be working 5o% of his/her time at the camps and 50% at the office.